Owen is excited to visit New York City for the first time. He insists on bringing his favorite doll, Joey. But will Joey be safe in the big city? Students will read the passage and answer follow-up questions about character and other story elements. Owen stepped out of the yellow taxi cab and looked up. All around were the tallest buildings he had ever seen. "Those are called skyscrapers, Owen," said Dad. "Welcome to New York!" Dad took Owen's hand and led him through a glass door. The man at the desk gave Dad a key. Owen and Dad took an elevator up to the tenth floor. While Dad put the suitcases away, Owen looked out the window. The tenth floor was very high, but it still wasn't the top of the hotel building. "Let's go get a hot dog!" Dad said. Dad grew up in New York City, but this was Owen's first trip. Everything seemed very big. Owen grabbed his doll Joey from the suitcase and held it tight. Joey was a purple shark with a white belly. Dad looked at Owen. "If you really want to bring Joey along, you'll have to hold him very tight. If he gets lost, we won't find him again. The city is just too big." Owen hugged Joey to his chest. "I won't lose him," he said. When Dad and Owen stepped onto the street, Dad held Owen's hand. "Hold my hand the whole time we walk," he said. "There are lots of people here." Dad and Owen walked down the street until the found a hot dog cart. Dad ordered two with ketchup and handed one to Owen. Owen held his hot dog in one hand and Dad's hand in the other. They ate and walked at the same time. Dad and Owen kept walking until they reached the biggest park Owen had ever seen. "That's Central Park," said Dad. Let's find the playground." Owen loved playgrounds. He especially liked sending Joey on a wild ride down the slides. "Won't that be fun?" Owen asked Joey. But wait! Joey was gone! Owen started to cry. Dad had said they would never find Joey in such a big city. Dad looked at Owen sadly. "I don't know if we can find him, but we can try." So they turned around and walked back the way they came. Owen kept his eyes on the sidewalk the whole time. They crossed many streets and Owen looked as hard as he could. Soon they were all the way back at the hot dog cart. "Hello, young fella!" The hot dog cart man called out to Joey. "Is this your shark?" The hot dog cart man lifted up a purple shark. It was Joey! Owen grabbed Joey and hugged him tight. "Thank you!" he said. "No problem," said the hot dog cart man. "Your shark helped me sell more hot dogs. We had fun together." The hot dog cart man winked at Owen and went back to work handing hungry people their lunches. 2. Why does Owen need to hold Dad's hand the whole time? 3. How do you think Joey got left behind at the hot dog cart? 4. 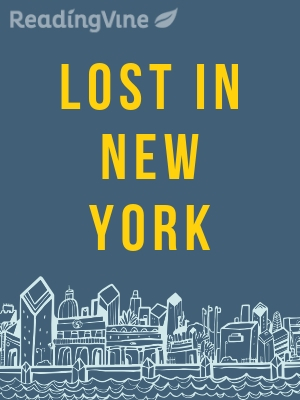 What would you do if you were lost in a big city?